Come enjoy a delightful day learning how these wonderful watercolor pencils easily create fine lines and texture in paintings and sketchbooks. With step-by-step instruction, learn dry and wet applications, tonal foundation glazing and toothbrush texture. 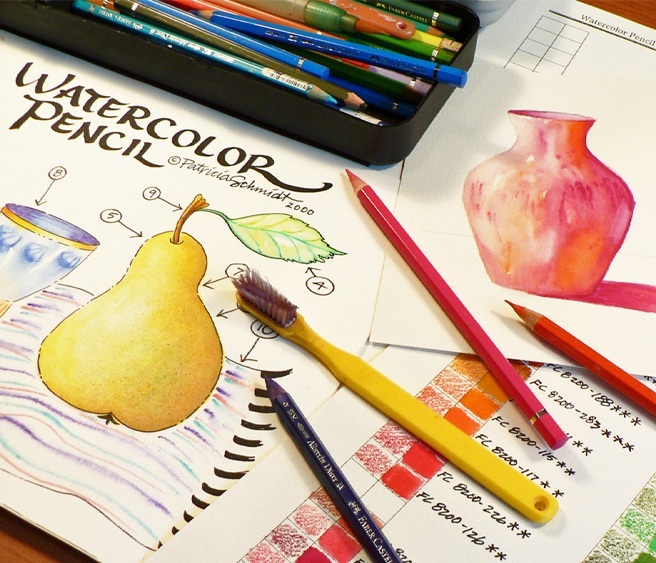 Have fun creating a color chart for future reference and painting cherries, pear, tea cup and a wet-into-wet vase.